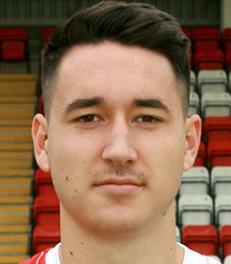 George Forsyth is the son of the Harriers legend Richard Forsyth. He captained the Harriers Academy side for two years before signing professional terms with the club. George has spent time out on loan at a variety of local clubs to further his experience but finally left the Harriers after four years with us. He joined up with Gloucester City a month after leaving us but didn’t last long there before going to Worcester City, firstly on loan and then to sign permanently.